The best landing page designs are simple and speak to the right audience. Take your pages to the next level with these 10 tips. 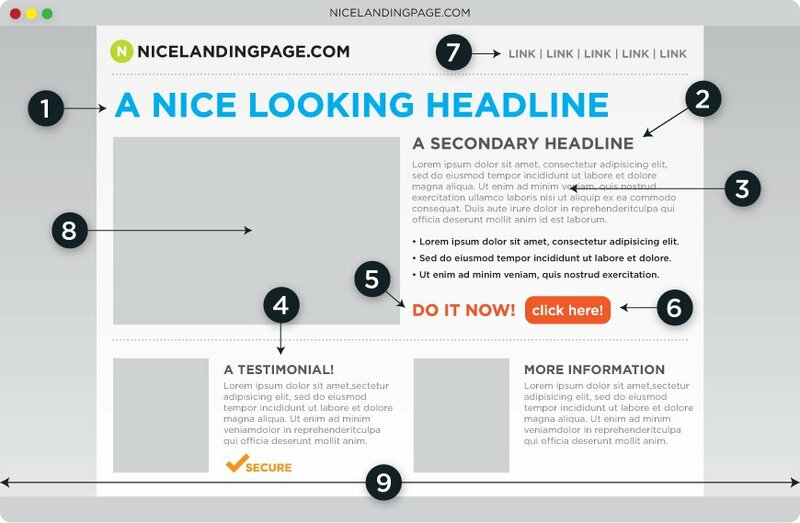 This guide will show you how to leverage color, placement, headlines, and copy to create the perfect landing page. The landing page headline and advertisement wording should complement each other. Your AdWords score allows a site to discover the cost-per-click. This score can be improved by having consistent content between the ad message and landing page text. Being one of the first things a visitor will read, the landing page headlines should not confuse or bore, but compel a visitor to take a closer look. Addressing a specific point that is related to the content of the website will catch a reader's attention more than having a vague and uninteresting headline. 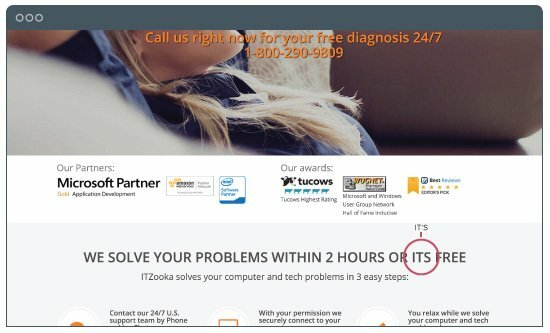 All website grammar needs to be flawless. Always double and triple check your copy, and have someone else read it through. In the example of an online retailer who is asking for visitors to purchase and provide personal and billing information, the trust of the customer will be risked if there are spelling errors and sloppy grammar. This page has one small grammar error, but that one error can make a difference in conversions. You're asking visitors to trust you. Grammatical errors are not a good introduction. 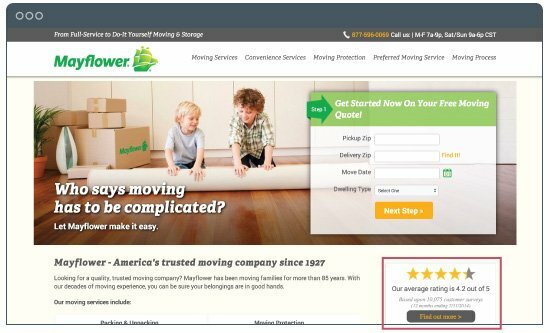 This landing page from Mayflower uses the company's average rating to display trust in their service. After a visitor reads the headline, it is crucial that they know what to do next. In the case of Mozilla Firefox, when they changed their call-to-action from Try Firefox 3 to Download Now - Free, it outperformed the original call-to-action by 3.6% and had a confidence level of over 99%, resulting in 500 more downloads during the time of the test. 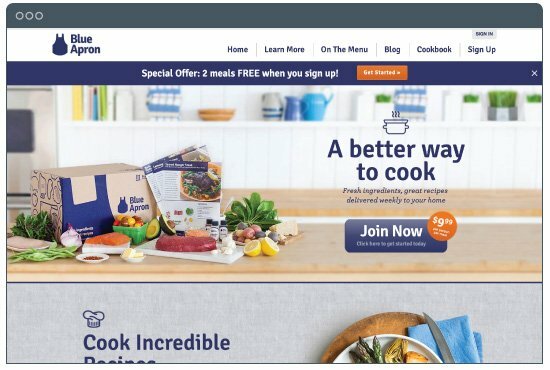 Blue Apron has a strong call-to-action on this page. It's clear what the user should do and even highlights a per person price. Identify the keywords people interested in your service might be searching for and use words such as free, new, buy, or download now. 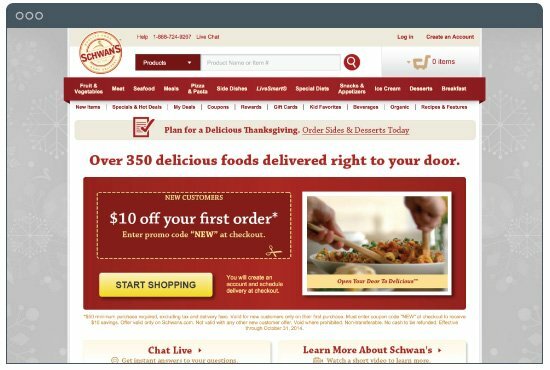 A conversion button should stand out and be placed right below a call-to-action or have the call-to-action as the button. Nonetheless, the button should be big, bright, and above the fold. The space a visitor sees without having to scroll is where the most important parts of the webpage should be. Place the call-to-action button above the fold and in a location where the viewer's eye will scan to. Never have the button or form in a place where it has to be searched for. Colors that entice a viewer will vary among different sites. Applying the right colors might draw in traffic, bore viewers, or scare others away. 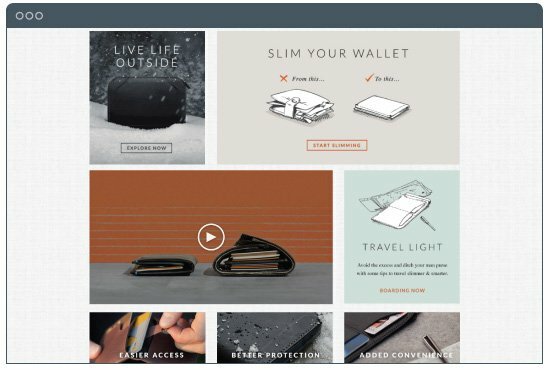 They set the mood of the landing page design and influence a viewer's actions. Why Should I Incorporate Forms? Well, the easy answer is that once you've done everything right on your landing page and the user clicks your call-to-action, you then need a way to capture their information. Coding forms manually is a pain. Formstack is an easy drag-and-drop form builder that requires no programming knowledge and lets you embed forms and store data. Plus, we have many powerful lead conversion features that can help you optimize your forms and capture better quality leads. Convert more leads with Formstack. Sign up for a Formstack 14-day FREE trial and start capturing better leads.